As part of their investigation into Waste Management in London, the London Assembly’s Environment Committee has published a damning report into Energy from Waste which calls for strong action from the London Mayor to tackle the issue of recyclable and compostable material being sent for incineration. 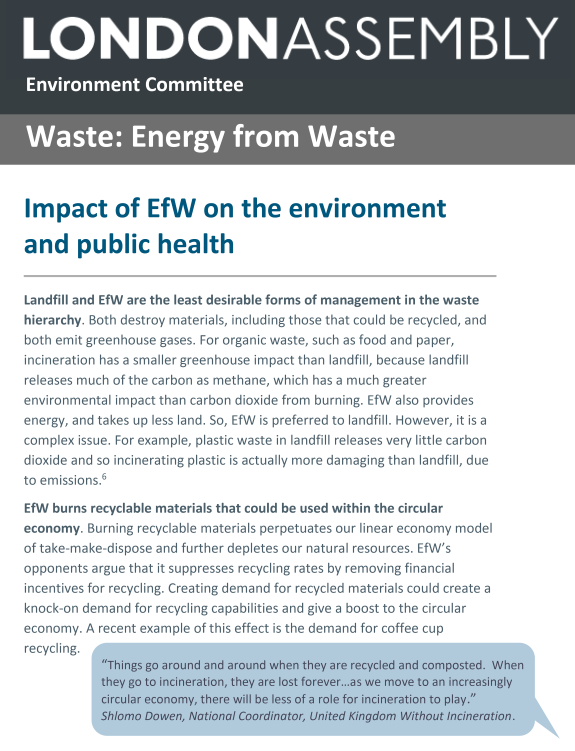 The report states that: “London must begin to limit not only the amount but also the type of waste it sends to Energy from Waste (EfW)…EfW burns recyclable materials that could be used within the circular economy. Burning recyclable materials perpetuates our linear economy model of take-make-dispose and further depletes our natural resources”. The report adds that, to improve London’s air quality, it is “essential that London burns less organic and plastic waste”. The United Kingdom Without Incineration Network (UKWIN) provided evidence to the inquiry and are quoted in its report. Commenting on the Committee’s findings the UKWIN National Coordinator Shlomo Dowen, stated that: “We hope London’s Mayor follows the Assembly’s advice and does everything he can to prevent more incinerators being built in London. The Mayor should also work harder to ensure London’s existing incinerators are not burning such high volumes of recyclable and compostable material. London has an exciting opportunity to be a truly Zero Waste city, and the first step is to realise that incinerators are a relic of the outdated linear system that should be consigned to the dustbin of history”. Prof. Ian Boyd appeared before the Environment, Food and Rural Affairs Committee (EFRACOM) on the 31st of January 2018 to discuss his work as Defra Chief Scientific Adviser. Professor Boyd was one of the principal author’s of the recently-published ‘From Waste to Resource Productivity’ report which emphasised the importance of moving away from incineration and landfill and towards more efficient and sustainable uses of resources. This report will provide an important part of the evidence base for the Government’s forthcoming Resources and Waste Strategy, due out in the second half of 2018. Boyd also cited how Sweden’s pursuit of incineration may have encouraged the production of residual waste and he explained how historic UK waste policy encouraging incineration over landfill may have created perverse outcomes. EFRACOM’s Chair Neil Parish MP compared incineration with diesel as an option that was once promoted as being environmentally friendly but that is now being seen increasingly as a mis-step that is bad for the environment. Later in the discussion, Prof. Boyd indicated that an incineration tax and a moratorium on new incinerators were worth considering as means to promote recycling alongside investing in innovative recycling processes and ‘designing out’ waste as part of a holistic approach to resource management. Concerns about incineration were expressed by respected waste figures at a Westminster Energy, Environment & Transport Forum Keynote Seminar on “Priorities for UK waste and recycling policy and developing the circular economy” that took place in London. Around two hundred delegates gathered on Thursday, 18th January 2018 to hear MPs and speakers from across the resources and waste sector discussing key issues and next steps in the move towards a more circular economy. Speakers expressed a general consensus that, through a combination of local actions and national policy interventions, significantly higher rates of recycling are both achievable and desirable. WRAP CEO Dr Marcus Gover pointed out that if all local authorities collected the same materials for recycling then more would be recycled, and CIWM Chief Executive Dr Colin Church issued a rallying call saying: “We need to remove non-recyclable packaging from the market, whether by voluntary action or Government regulation”. Dr Church emphasised how we need to do something about the recycling market to ensure that there is a demand for material that we don’t want to ‘design out’ so that “it is not burned or buried”. When asked about waste incineration overcapacity Dr Liz Goodwin, the Chair of the London Waste and Recycling Board (LWARB), agreed that avoiding incineration overcapacity is a consideration that should be taken into account when planning for a more circular economy. She also expressed a view that London has a role in hardwiring the circular economy locally, including minimising ioncineraiton, to act as an inspiration for the rest of the UK. The event’s keynote speaker was Dr Lee Davies, Defra’s Head of Resource Efficiency and Circular Economy. Dr Davies delivered a presentation on the Government’s future priorities for resources and waste policy. He highlighted the importance of treating waste as a resource, and he explained how the forthcoming Resources and Waste Strategy will build on the Government’s Clean Growth Strategy, Industrial Strategy, and 25-year Environment Plan. When asked by Shlomo Dowen, the National Coordinator of the UK Without Incineration Network (UKWIN) how much potentially recyclable or compostable is currently incinerated he replied: “Too much!”. Dr Davies went on to explain how product redesign was central to improving resource productivity and addressing the problem of hard-to-recycle products. Dr Davies confirmed the Government’s intention to release the Resources and Waste Strategy sometime during 2018. On Thursday 7th December 2017 the London Assembly’s Environment Committee will be discussing issues relating to incineration as part of the Committee’s investigation into waste management in London. Shlomo Dowen, the National Coordinator of the UK Without Incineration Network (UKWIN), will be one of the guest attending the meeting. UKWIN has provided written evidence to the London Assembly showing how waste incineration harms recycling and why it is important that London adopts a moratorium on new waste incineration capacity. Commenting on his forthcoming attendance, Shlomo Dowen explained: “London has a great opportunity to be a global leader in sustainable waste management, but at the moment London’s recycling rates are suffering from the effects of incineration overcapacity. I am looking forward to discussing the future of London’s waste management with the Environment Committee, alongside exploring some of the problems caused by waste incineration”. The United Kingdom Without Incineration Network (UKWIN) is a network comprising more than 100 member groups who oppose waste incineration. UKWIN carries out research into the problems caused by waste incineration and the opportunities for more prudent resource use in line with the circular economy. There is now more committed incineration capacity than genuinely residual waste to burn, so it is vital that we stop building more incinerators in the UK. The emissions, the impact on climate change, the harm to recycling and the fact it simply isn’t needed all make incineration an expensive folly that we can ill afford. “Eunomia’s latest report confirms that we will soon have more incineration capacity than residual waste. However, this understates the problem because much of what is currently described as ‘residual waste’ can actually be recycled or composted. Long-term waste contracts are often the most expensive contracts a council ever signs, but residents are usually excluded from knowing the details of what has been agreed in their name. One route to obtain this information is through the use of Freedom of Information (FoI) and Environmental Information Regulations (EIR) requests, but in many cases the road to getting the information to which you are legally entitled is long and requires perseverance. Hats off to Derby campaigner Simon Bacon for sticking with the process, and obtaining a victory for transparency. His blog post has been reproduced below, and is used with permission. You can read the rest of his local reporting at: http://derby-waste-a-rubbish-blog.blogspot.co.uk. 3- ALL CONTRACTS RELATING TO THE USE OF THE SINFIN TANNERY SITE – OWNED BY DERBY CITY COUNCIL BY RESOURCE RECOVERY SOLUTIONS (RRS) OR OTHER PARTIES. 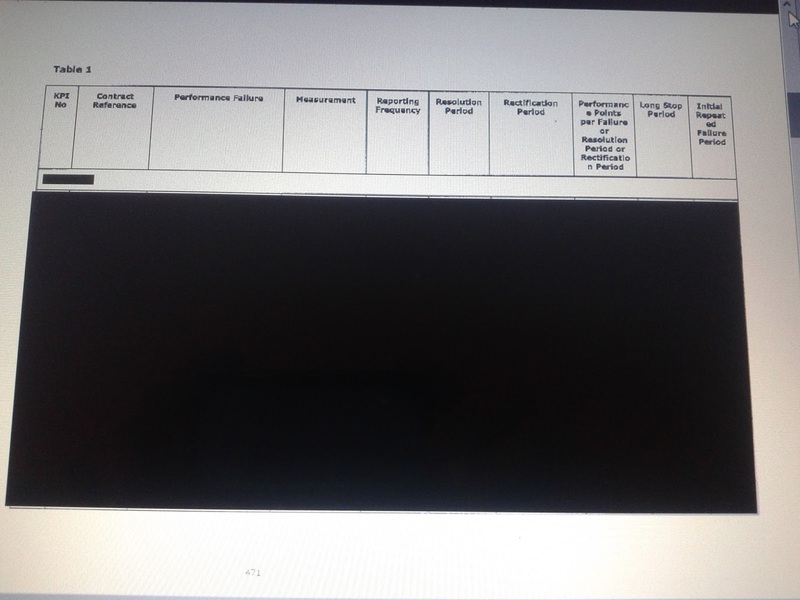 Derby City Council responded on 17th December 2015 in which it disclosed some of the requested information but withheld some of the information in part 2 of the request claiming the adverse affect to the confidentiality of commercial information. 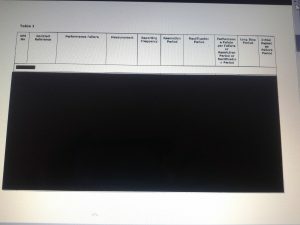 What was provided was a series of documents with many redacted (blacked out pages) where the council and its supporters – Derbyshire County Council and Resource Recovery Solutions edited the documents to hide certain aspects of the documents which they did not want the public to see. 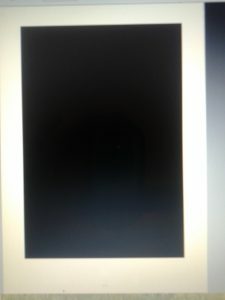 Having considered this battle of wills further I made a complaint against Derby City Council on 22nd February 2016 to the ICO – the Information Commissioner. The ICO then gave full consideration to my strongly put appeal while engaging with Derby City Council further. Other than the Derby, Glasgow and Milton Keynes projects that have moved ahead there is little evidence of other projects moving forward using such technology and in recent weeks a proposal to install similar tech on the Isle of Wight has been dropped – so not quite the beacon being suggested. In early September 2016 Derby City Council was in no mood to lose their battle against a resident of Derby so instructed its legal team to appeal the ICO ruling and so work started on a legal appeal. In recent months a similar case relating to an incineration plant in Gloucestershire and its associated contract pretty much ruled in the original applicants favour – while the council in that case attempted to put a brave face on things while putting some spin on the ruling the applicants in Gloucestershire are very happy with the result of their battle. A similar ruling regarding an incineration plant contract in Worcestershire also placed pressure on Derby City Council who were then set a date by the General Regulatory Chamber who were running the appeal by Derby City Council where the council had to acknowledge if it proposed to continue with their appeal. “Our clients have been carrying out a fresh, detailed, careful and considered review of the disputed information with all interested parties taking into account the passage of time and developments since the initial request and the commencement of the Appeal. The council was simply playing with words – £20,000 was spent but the city council only paid a third of the payment! 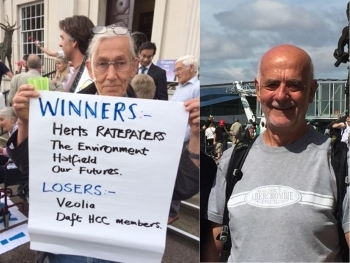 Tributes were paid to Mick (left) and Jeff (right), beloved members of the anti-incineration community. On Saturday 3rd June 2017 the UK Without Incineration Network (UKWIN) received an Earthmovers Award for Outstanding Community Campaign from Friends of the Earth (FoE) at Basecamp, which is FoE’s annual environmental festival .